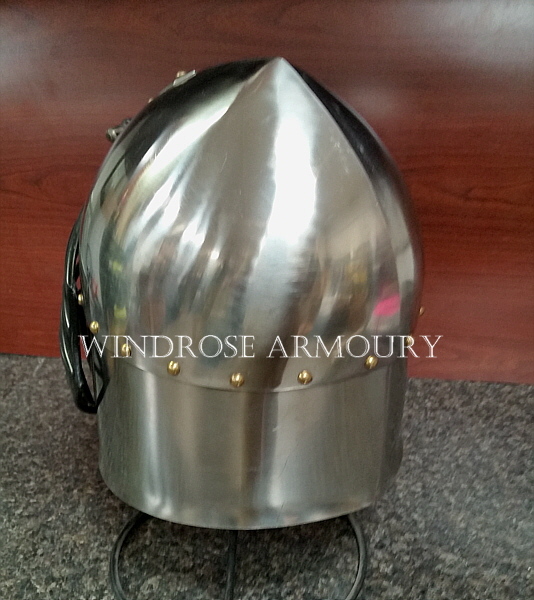 Stainless Steel Bascinet [H-439] - $525.00 : Windrose Armoury, We Bring History To Life! 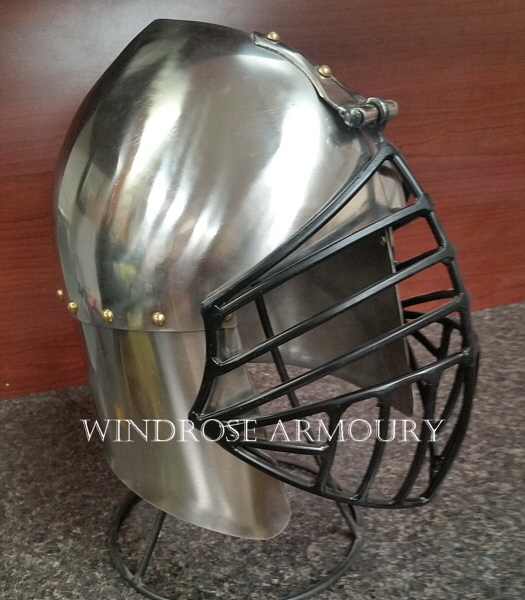 Styled to represent helmets worn in the 14th Century, this is constructed completely of 14 gauge stainless steel. The center pivot grill is permanently attached, and customer will need to install their own verveilles and aventail, or they can be added by us for approximate $425 additional. 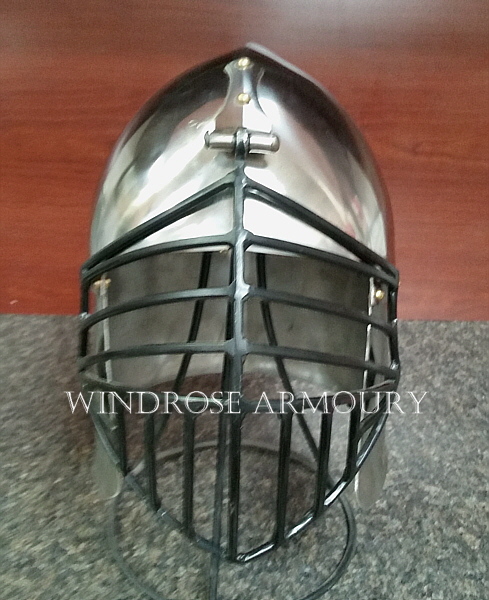 Sized to fit 24 inch head circumference with a slightly longer neck (11") than our usual model. This neck length can be removed at ordering for no extra charge.